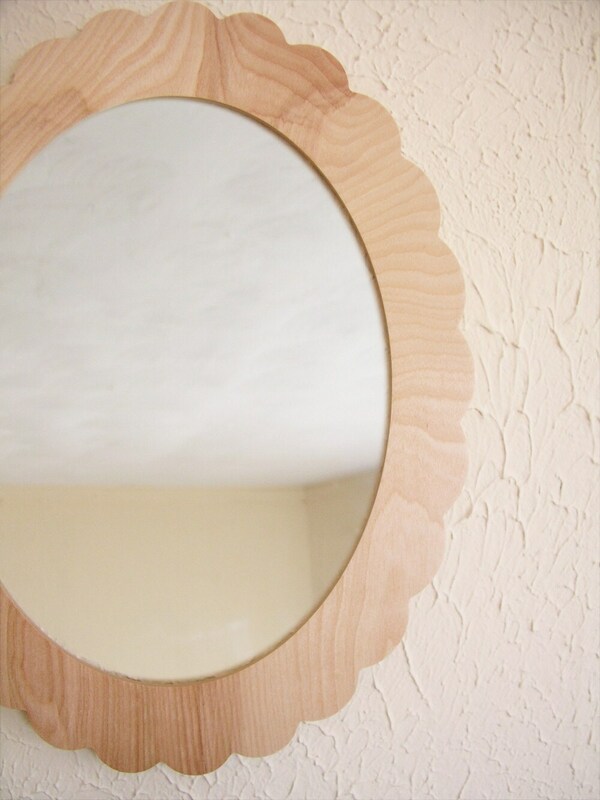 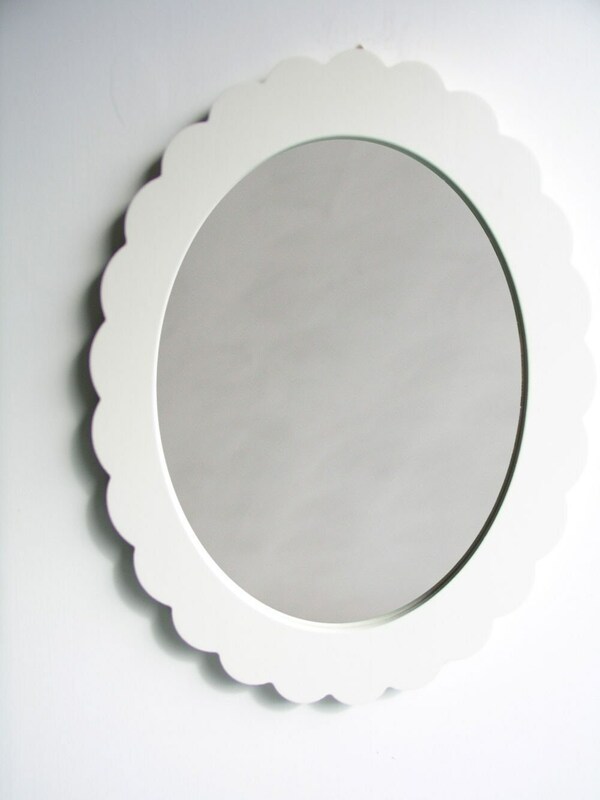 A great accent for any room, this is a fashionable vintage style little mirror. 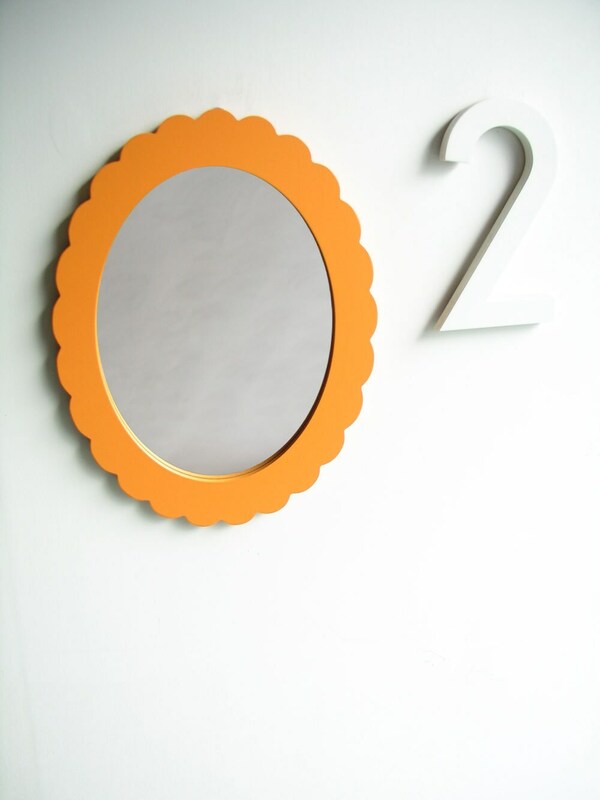 Dimensions are 18"h x 14"w (see also our large sized version), ready to hang. 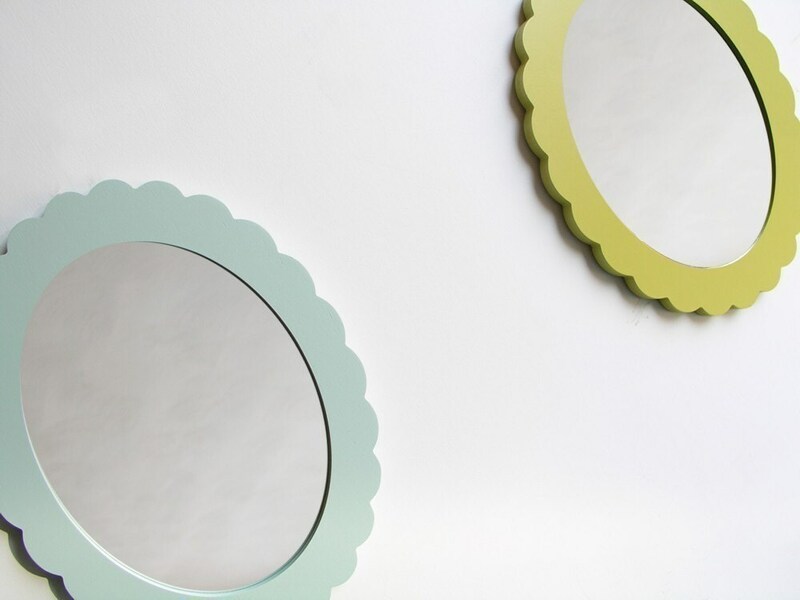 Available in these colors: chartreuse, natural birch, white, ash grey, tangerine, apple green. 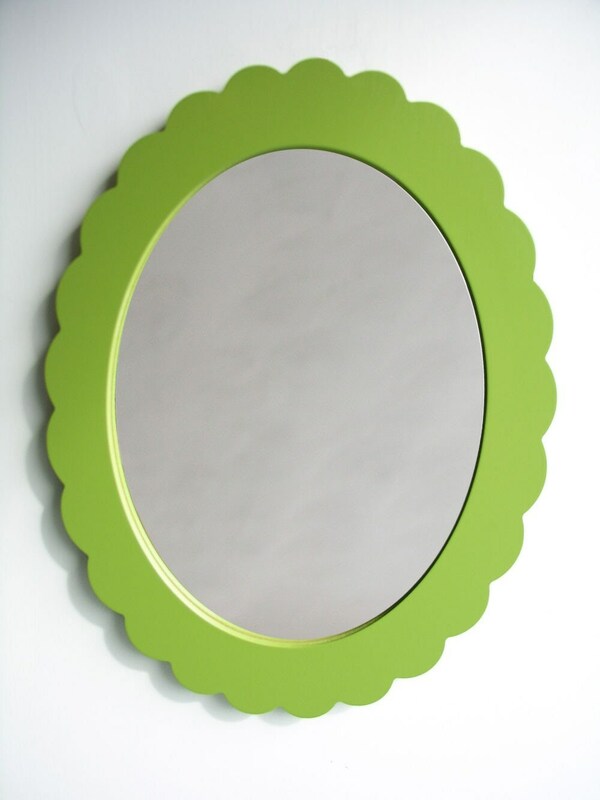 This mirror has been professionally sprayed with high quality acrylic paint and then coated with a matte environmentally friendly waterborne urethane finish to enhance and protect.